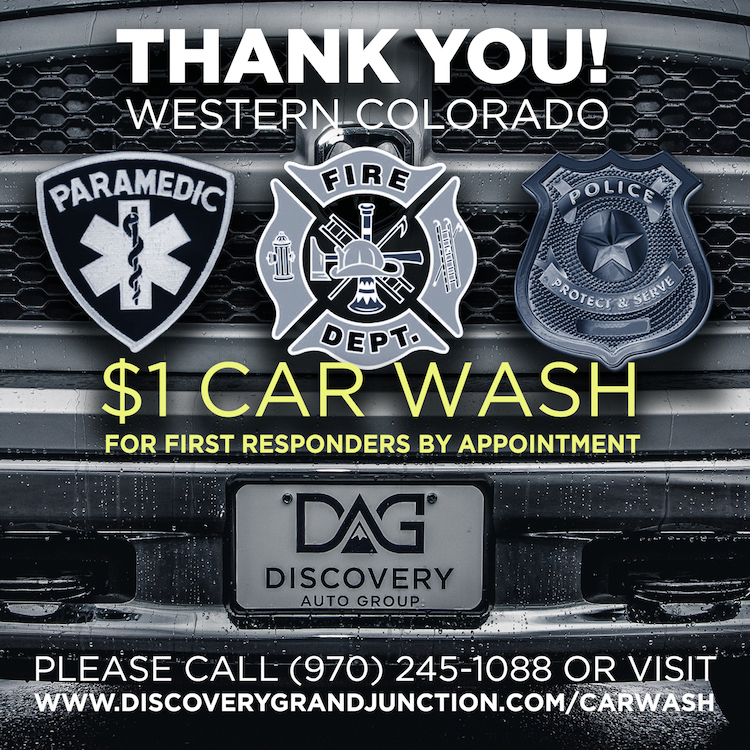 First Responder Appreciation - Discovery Auto Group "Let the happy begin..."
Discovery Auto Group would like to thank our Western Colorado First Responders for everything they do to keep our community safe. We understand the importance of the job you do and would like to show our appreciation by offering $1 car washes on your personal vehicles. Please fill out the form below and we will schedule a time for you to come in and get your personal vehicle hand washed here at the dealership.